Jürgen Steimle is a visiting assistant professor at the MIT Media Lab and head of the Embodied Interaction group at the Max Planck Institute for Informatics. His current research focuses on user interfaces for different types of flexible displays, including rollable and foldable displays. 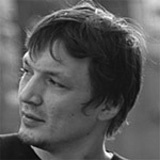 He holds a PhD in computer science from Darmstadt University of Technology in Germany, distinguished as best CS dissertation 2009 in Germany. 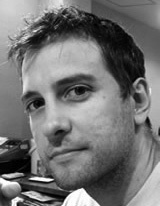 Hrvoje Benko is a researcher at Microsoft Research. He explores novel interactive computing technologies and their impact on human-computer interaction. For his publications he received best paper awards and nominations at both ACM UIST and ACM SIGCHI. He received his Ph.D. in Computer Science from Columbia University in 2007 working with Prof. Steven Feiner. 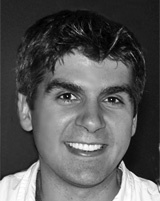 Alvaro Cassinelli is assistant professor at the University of Tokyo and leader of the Meta-Perception group at the Ishikawa-Oku Laboratory - a research group specialized on interfaces for enhancing human communication and expression. He has been awarded several international prizes including a Grand Prize at the Japan Media Art Festival, and an Honorary Mention at Ars Electronica. Alvaro holds an Engineering degree (Telecom Paris- Tech), and a Ph.D in Physics (Univ. of Paris-XI). 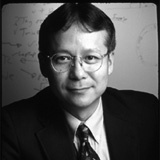 Hiroshi Ishii is the Jerome B. Wiesner Professor of Media Arts and Sciences at the MIT Media Lab where he founded and directs the Tangible Media group. His research focuses upon the design of seamless interfaces between humans, digital information, and the physical environment. 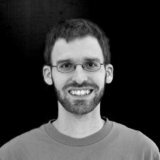 He was elected to the SIGCHI Academy in 2006 recognizing his substantial contributions to the field through the creation of Tangible User Interfaces. 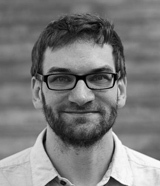 Daniel Leithinger is a Ph.D. candidate in the Tangible Media Group at the MIT Media Lab. His current research focus is on actuated tangible interfaces and interactive shape displays. Prior to joining the Media Lab, Daniel completed his M.Sc. at the Upper Austria University of Applied Sciences, Hagenberg and worked at Futurelab, HITLab, Media Interaction Lab, Interactive Media Lab, and Disney Research. Pattie Maes is a full professor, and holder of the Alexander W. Dreyfoos chair in MIT's Program in Media Arts and Sciences. 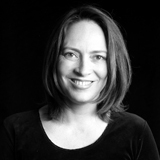 She founded and directs the Media Lab's Fluid Interfaces group. Previously, she founded and ran the Software Agents group. She holds bachelor's and PhD degrees in computer science from the Vrije Universiteit Brussel in Belgium. Ivan Poupyrev directs an Interaction Technology group in Disney Research Pittsburgh Lab. His research, recognized with prestigious awards and released in commercial products worldwide, focuses on inventing new technologies that blend digital and physical properties in devices, everyday objects, and living environments. Prior to Disney, Ivan has worked at Sony CSL and the Advanced Telecommunication Research Institute International, the University of Washington and Hiroshima University.